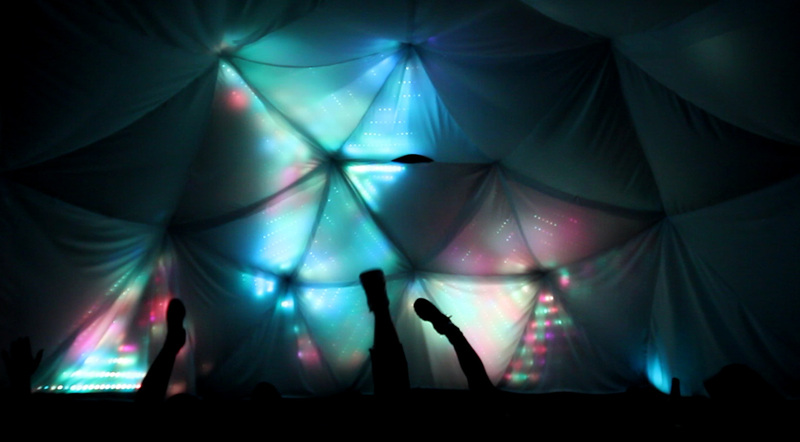 When in Dome is a light installation for exploring group experience. 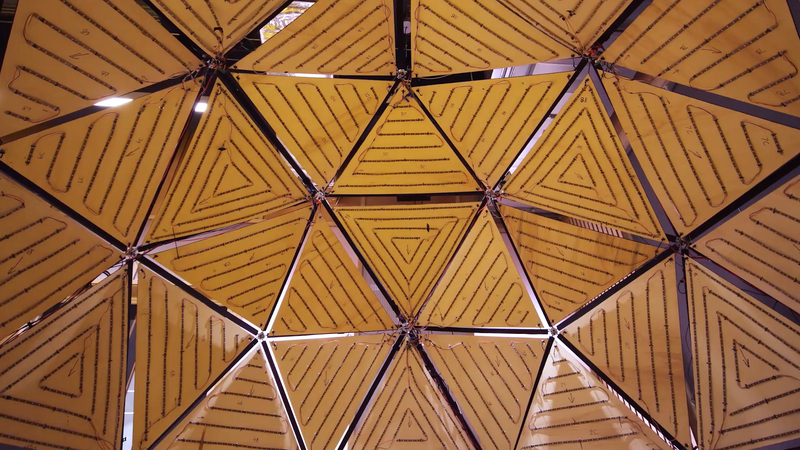 A geodesic dome filled with thousands of mapped LEDs provides a space for shared interaction. I’m continuously developing new interfaces for shared interaction inside the dome, with the goal of creating group experiences. In one mode, people use handheld reflective tracking devices which leave trails across the surface of the dome and, when two of them come close together, an explosion of colour appears. In another, movement inside the dome is depth tracked and, as people wave their arms and legs around, they draw shimmery shapes in the lights. The dome contains 4378 individually addressable and mapped LEDs. The software is written in Processing and the LEDs are driven using Fadecandy. The current interactions work using a Kinect’s infrared and depth feeds to generate the imagery on the lights in response to movement inside the dome. When in Dome is also capable of sound reactivity. New interactions are still being developed. As the technology behind the dome is very versatile, it is possible to tie in a wide range of inputs and interfaces suitable for different audiences.